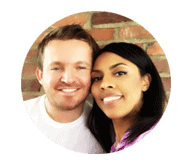 The First initial step is one of the important things to do. 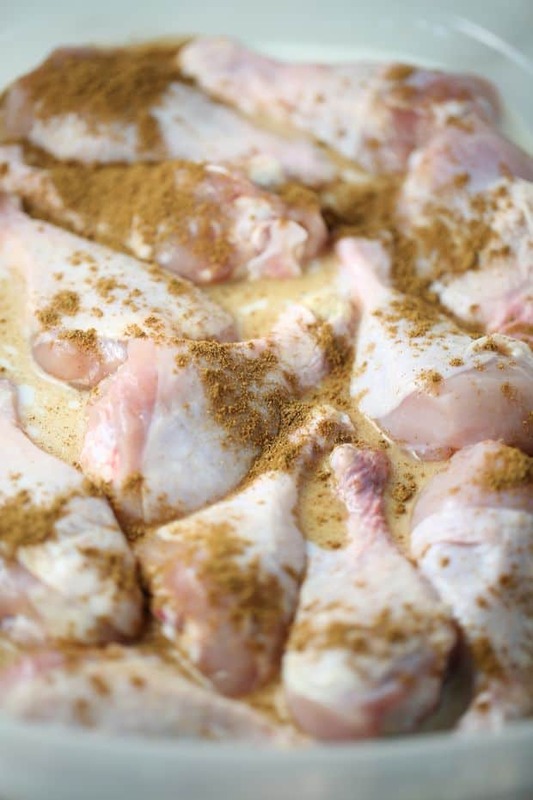 Soak the chicken in milk and season with Chinese five spice powder. 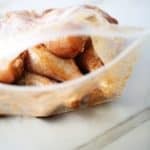 Thoroughly drain any excess milk from your drumsticks and place them in a large zip lock bag to marinate in previously prepared sauce. Cover your baking sheet with parchment paper and off we go and ready to bake. 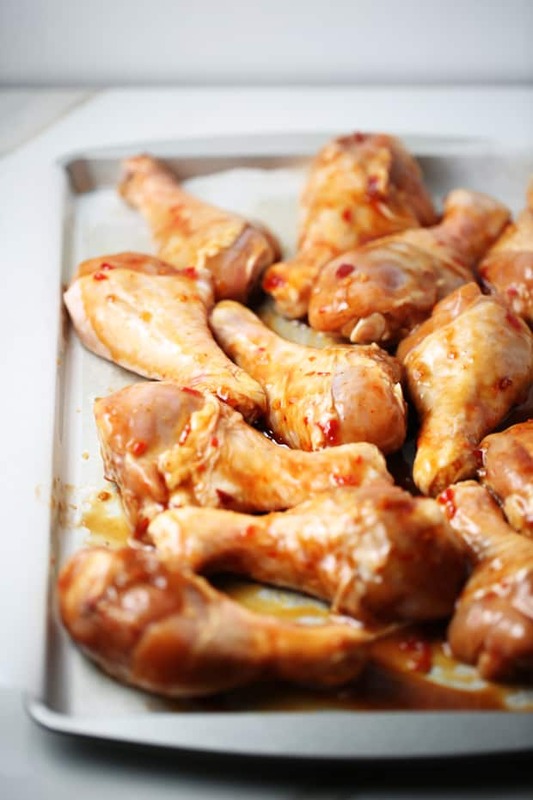 After about 15 to 20 minutes of baking on one side pull out the drumsticks and flip them on the other side. At the same time brush them with some extra sauce. Put them back in the oven for an additional 15-20 minutes. 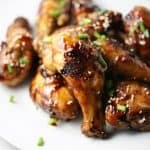 I make a teriyaki ginger glaze to add a bit more flavor to the drumsticks at the end. 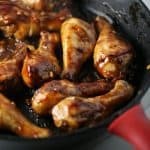 I use about 1/4 of a cup of freshly chopped ginger and one tablespoon of teriyaki glaze to fry the drumsticks for an additional 10 minutes. Frying drumsticks for an extra 10 minutes does the trick, and results are outstanding. 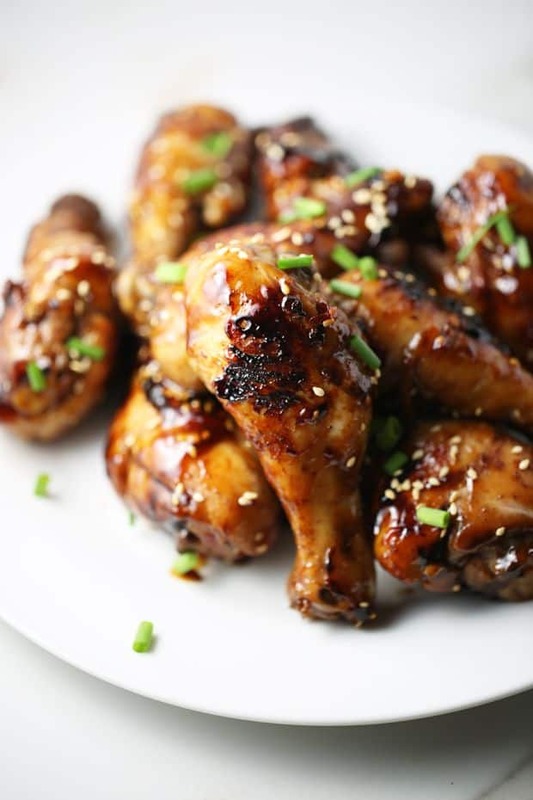 Last, garnish with a hint of fresh green scallion and sesame seeds if desired, then enjoy! 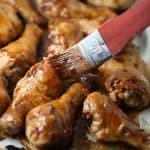 Easy to make oven baked five spice chicken drumsticks. 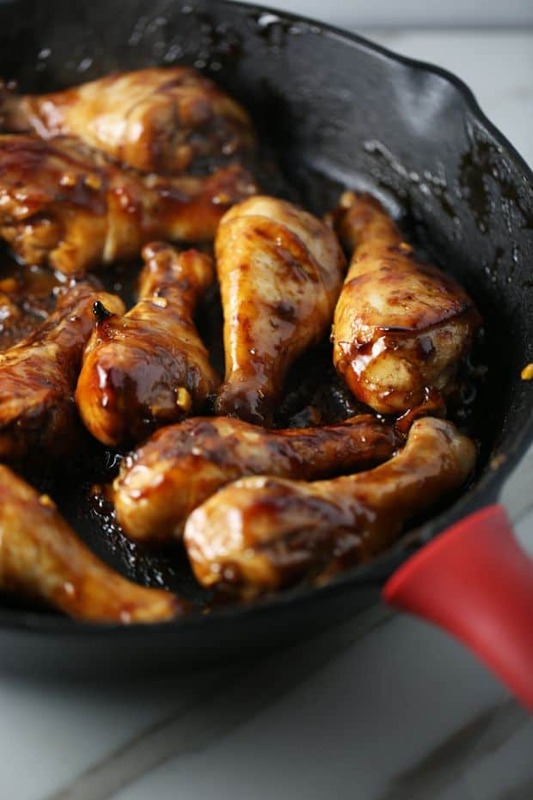 Cooked in a teriyaki glaze, sweet chili, and sriracha sauce, bring amazing flavors to your dish. 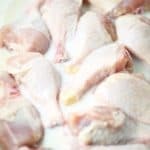 Rinse chicken under drumsticks under cold water. Transfer into a container and add 1 cup of milk. 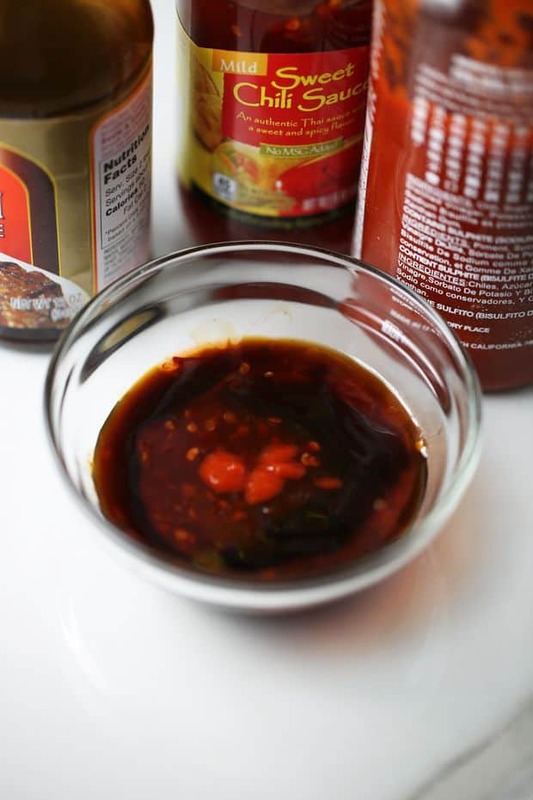 Sprinkle Chinese 5 spice over it and put it in the fridge for about 15-20 minutes. 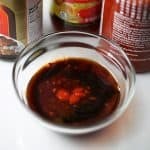 To make sauce you will user 2 tablespoons of Teriyaki baste & glaze, Sweet chili sauce and 1/4 teaspoon of Sriracha sauce. 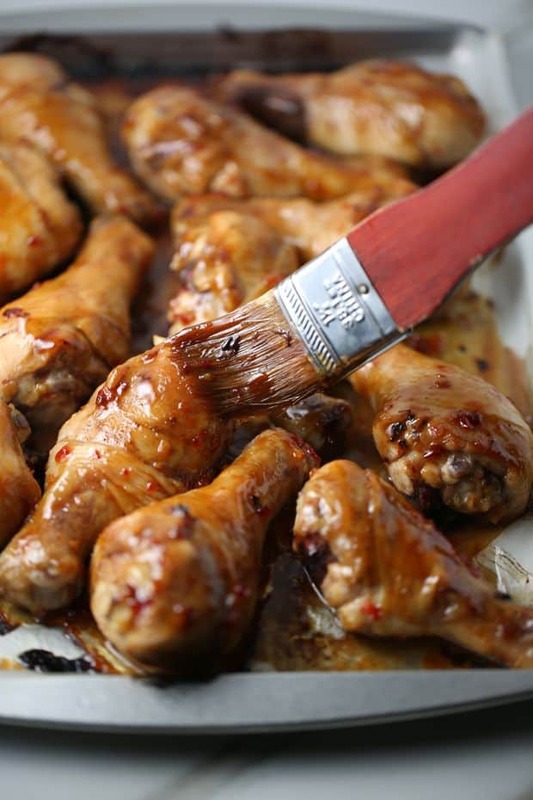 After about 15-20 minutes take the chicken drumsticks out of the fridge, and drain off the milk. 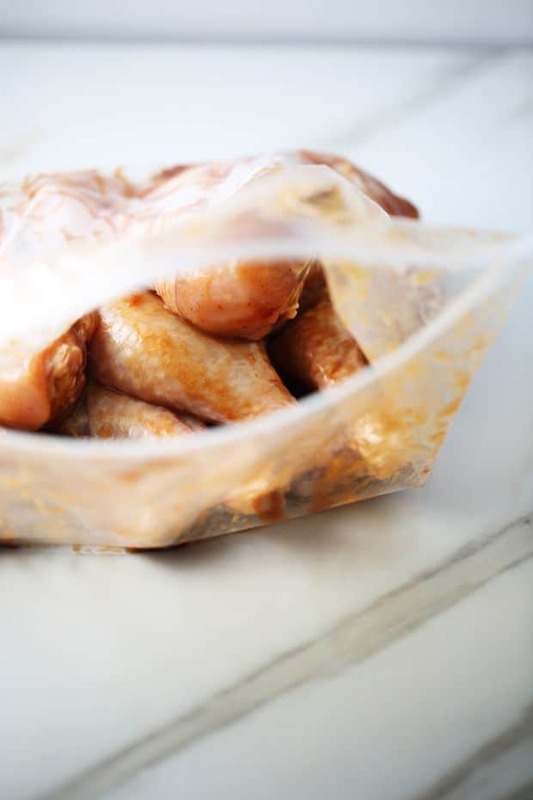 Place the drumsticks into a large zip lock bag and add sauce. Seal the zip lock bag and shake it to make sauce spread evenly. Put the bag back in the fridge for 1-2 hrs. Preheat the oven to 460 F, prepare your baking sheet and bake for 15-20 minutes on each side. Add more sauce if needed. 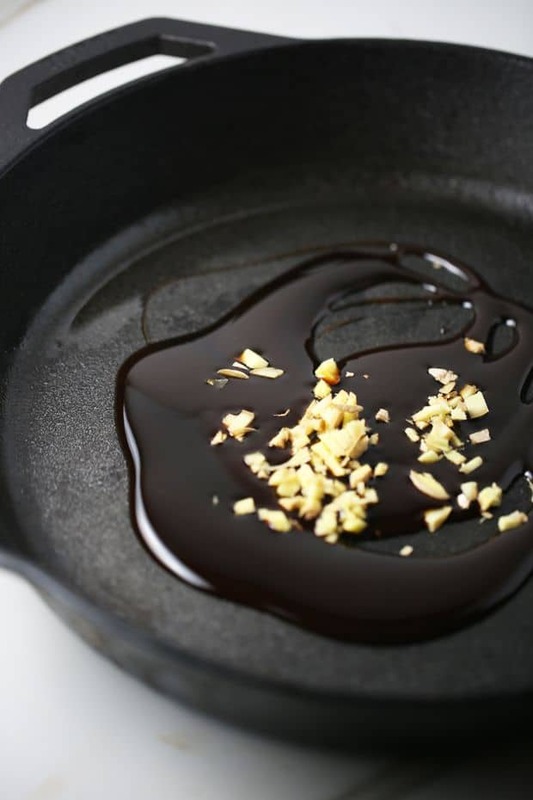 Preheat a skillet and add 1 tablespoon of teriyaki glaze and 1/4 of a cup freshly chopped ginger. Fry for 10 more minutes. Garnish with sesame seeds and chopped scallions. I will be making these next weekend for the Super Bowl party, hope they turn out great! Thanks Angel, I am sure you will be satisfied!